At First Choice Chiropractic and Massage, we practice a unique form of chiropractic care called Chiropractic Biophysics®. 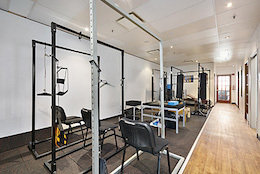 We are one of only a few chiropractors in Queensland to offer this form of care. While standard chiropractic care can provide excellent results in terms of pain relief, enhanced mobility and more, Chiropractic BioPhysics® (CBP®) is a more evidenced-based, cutting-edge form of care that has many other benefits. CBP® is aimed at changing spinal structure while understanding biomechanics of posture and its involvement in headache, neck pain and back pain. This technique comes with years of clinical research and more than 150 peer-reviewed publications, in journals such as Spine, Clinical Biomechanics, British Journal of Medicine, Journal of Manipulative and Physiological Therapeutics to name a few. In addition to using standard chiropractic techniques, CBP® treatment involves specifically positioning patient spines and body parts into unique positions called their Mirror Image®. 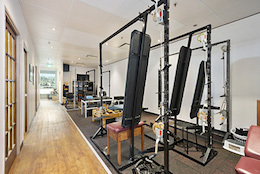 Techniques including joint and body part adjustments, specific exercises and spine rotational traction. CBP® begins with a scientifically based examination of your posture, spinal alignment, and function — often involving x-ray analysis — as compared to normal values, both idealized spinal models and population normative data. Biology, physiology, physics, geometry and anatomy are combined to identify and quantify the causes of your pain, discomfort or loss of mobility. We will create an evidence-based diagnosis, as the likely cause of your problem, with a specific approach to rehabilitating the spine. The CBP® research team consists of mathematicians, engineers, medical doctors, statisticians, Doctors of Chiropractic and other professionals from multiple fields. This team of researchers has thoroughly investigated all aspects of the CBP® spinal rehabilitation methods. As a result, it is safe to say that CBP® chiropractors use tested and proven techniques for remodelling your spinal distortion and posture. Over a period of many years, the originators and practitioners of CBP® have developed, studied, and tested numerous spinal remodeling techniques. No other specific chiropractic technique system has been subject to this level of trial or scrutiny, nor are the results so well studied and understood. Discover the difference that CBP® can make in your health and life. Contact us today to schedule an appointment!